Cancer that is human epidermal growth factor 2–positive (HER2-positive) holds too much of the protein on the surface of its cells. Excess amounts of the protein help cancer cells multiply and spread more quickly. This makes HER2-positive breast cancer more aggressive than the HER2-negative type. Bladder, pancreatic, ovarian, and stomach cancers can also be HER2-positive. A new study suggests a possible new treatment for this cancer. 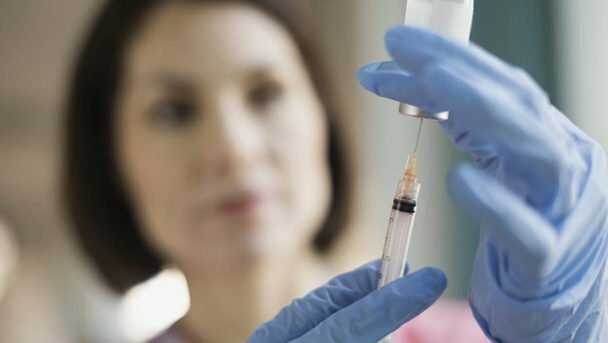 Scientists, led by Dr. Jay A. Berzofsky, at the National Cancer Institute in Bethesda, MD, have come up with a cancer vaccine that demonstrated clinical benefit for people with HER2-positive cancers. 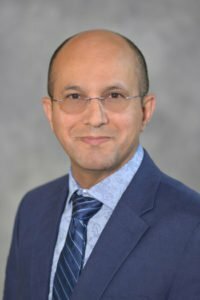 “The results of this study are very interesting and promising, especially with HER2-positive breast cancer because it’s so aggressive” said Zaw M. Bo, MD, medical oncologist and hematologist at OHC. The scientists administered the vaccine to the participants at the beginning of the study and at weeks 4, 8, 16, and 24. One person with ovarian cancer had a complete response to the treatment, and the benefits lasted for 89 weeks. One person with stomach cancer responded partially to the treatment, benefiting from the vaccine for 16 weeks. Four participants had stable disease as a result of the treatment. Two of these patients had colon cancer, one had prostate cancer, and another one had ovarian cancer. Dr. Berzofsky and his team presented the findings during which they did point out some limitations to the current trial, such as the small size of the sample and the lack of a placebo group. Dr. Berzofsky said moving forward, the team would like to investigate whether they can increase the proportion of people who benefit from treatment with the vaccine by combining it with checkpoint inhibitor therapy. Checkpoint inhibitors block proteins that stop the immune system from attacking the cancer cells. The first ones approved by the Food and Drug Administration were tested in clinical trials at OHC in Cincinnati and include ipilimumab (Yervoy), nivolumab (Opdivo) and pembrolizumab (Keytruda). For more information about treatment for breast cancer, call OHC at 1-800-710-4674.